It’s that time of year when everyone starts thinking about summer…and shorts…and bathing suits. People start going on crash diets and gyms start filling to capacity. But what about the rest of the year? The benefits of being healthy don’t stop at your ability to fit in your bathing suit or at the number on the scale. Regular exercise and a healthy amount of weight loss can positively impact your overall health and well being. 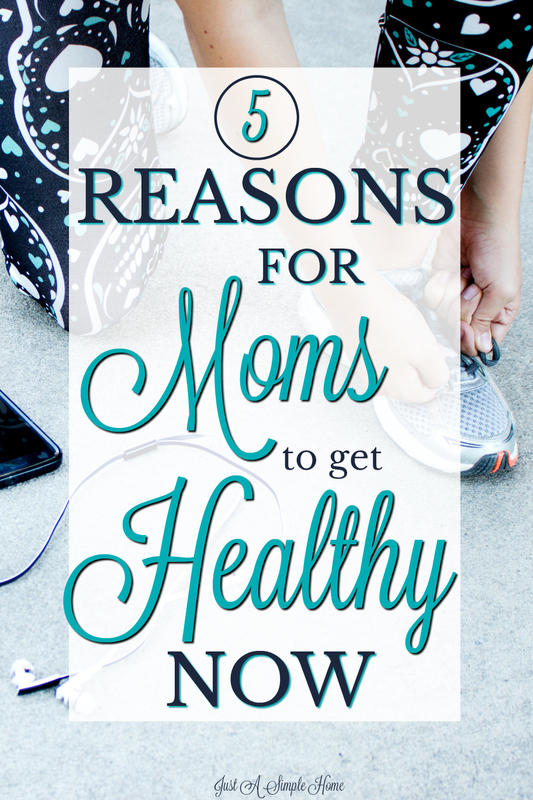 If you are a mom, like me, a huge benefit to getting healthy is the example it sets for your children. When they see you modeling healthy habits, they will be more likely to take care of themselves into adulthood. As a mom to six girls (and one boy), that is extremely important to me. I want them to remember what I taught them about body image, not what the media teaches. I know how hard it can be to change up patterns and make these changes, but keep these benefits in mind and don’t give up! Ahh, sleep. Most of us want more of it, especially during those years we have babies in the house. I know how precious sleep is to me! Did you know that sleep and weight loss have a mutually beneficial relationship? Losing weight and being more active can help you sleep better. When you sleep better, your body can function the way it needs to. Your body will fight cravings and keep your hunger hormone in check, along with boosting your willpower so you can continue the healthy habit. Lack of sleep is all too common — more than a third of American adults regularly get less than seven hours — and skimping on sleep is linked to all kinds of long-term health issues. “Poor sleep leads to fatigue, which decreases motivation to exercise and resist overeating, which leads to more weight gain or at least failure to lose weight,” says Patricia Salber, M.D. and editor-in-chief of The Doctor Weighs In. Getting healthy and fit can help you sleep better, which can then kick off a cascade of healthy decisions and actions throughout your day. Need another reason? You don’t have to look far to know that stress levels are rising more and more. Adult coloring books, anyone? Stress has so many negative connotations for our health, as you can probably imagine. While losing weight won’t make your stress completely disappear, exercise is a known stress-buster, so think of your daily workout as a natural chill pill. It may feel like a chore at first, but you will soon feel the effects and will look forward to your natural stress reducer. Find a workout love you, even if it’s walking…involve your kids if needed, and get active. Your body, your mind, and your kids will thank you. Excess weight puts additional force on your bones and joints, which can impact your ability to work out as you might like. “When you increase the number of pounds on a body, it’s physics,” says Heather Bartlett, M.D., a board-certified family medicine physician and founder and owner of The Bartlett Medical Clinic & Wellness Center, a direct primary care clinic in Columbus, Ohio. “Most people psychologically think if they’re gaining weight, their body must be adapting to the weight. It’s not true.” The body “can’t provide the support it needs to function properly, and that translates into pain,” Bartlett says. The good news is that for each pound lost, there is a four-pound reduction in the stress put on the knee joint, according to 2005 research published in Arthritis & Rheumatism. That is pretty crazy! According to that study, over the course of the thousands of steps taken each day, this would yield a meaningful reduction in force on the knee — which could translate to less pain and discomfort while working out. This is one of the most important benefits to me. As a busy mom of seven, who homeschools and has a home business, I know stress can easily take over. When I am eating well and exercising, my mood drastically improves and it shows. A diet high in processed carbohydrates is disastrous for your endocrine and nervous systems. I think more people are starting to come around to this idea. Moving toward a diet with less carbs can lift your mood since healthy fats and lean protein take longer to digest, which can eliminate sugar crashes that can lead to mood and energy fluctuations. And a diet that includes a healthy balance of carbs, protein, and fat doesn’t just provide the fuel your body needs to perform at its best — it frees you from the emotional stress that can come from making unhealthy food decisions. The journey to getting fit and healthy can be empowering, and that self-confidence boost can positively affect all aspects of your life — family, work, and home. Ladies, listen up… Losing weight can support your hormones — including the hunger hormones that influence hunger and satiety. “Fat makes estrogen,” Dunston explains. “A lot of women will report that when they lose weight their periods become lighter, less painful, they have decreased PMS, decreased breast cysts,” she says, This is the result of the hormonal balance that comes from losing excess weight. Healthy levels of thyroid hormones, cortisol and other adrenal hormones, and insulin are also linked to weight loss, she adds. We sometimes use hormones as an excuse for an outburst or a need for chocolate. But these essential messengers carry important information throughout the body. We need to keep them in check or everything will be out of whack. I know you might not be happy with me right now. This can be a touchy subject, one we don’t always want to face. But I am not bringing you this information to point a finger, I just want to encourage you not to give up. I just had my seventh baby and am only just starting to workout and change up my eating habits. But I have lost the baby weight six times before and have helped many other women with their health goals. A healthy body doesn’t happen overnight, it won’t even happen in a month – although positive changes will! Make small changes, be consistent and you will create habits that will change your life…and those around you. UPDATE: My seventh baby just turned a year old and I have lost 70 pounds, bringing me to high school weight! I feel really good! If you want some support and accountability to reach your health related goals, I invite you to join my FREE GROUP for moms who want to put some focus on their health. We have different challenges each month, focused on a different health or nutrition topic, and it is all FREE! JOIN HERE! Loved that you included stress on this list of healthy steps! It’s soo crucial and directly connected to our physical health but we often forget about it and neglect its importance! My husband and I decided we are going to get serious about our eating habits starting this week. We always feel so great when we are eating healthy, I don’t know why we stop! I could not agree more with this article. I have seen and felt tremendous improvement in my life from switching to a healthier lifestyle. Stress was one of the biggest improvements from switching. This is just the article I needed to read right now! It is a touchy subject, but it’s good to take a hard look at the things that things that we can improve for ourselves. I’m making a sleep commitment starting today. Thank you! I feel so much better after losing 40 lbs. Many of the aches & pains are gone. I feel as well as I can and keep up pretty well even with a chronic condition that impacts my mobility. This is all so true. I notice such a difference in the summer when I am more active and running compared to the winter when I am not. Great reminder to reduce stress by exercising on a regular basis.